We are beyond exciting to welcome New York Times and USA Today bestselling author and RITA award winner, Connie Brockway to The Romance Dish! I've been a fan of Connie's for years, starting with her historicals and happily moving along with her when she started writing contemporaries. And of course, following her life on Squawk Radio. I mourned deeply when Squawk went off the air, and I was in good, albeit sad company. Well, color me happy when I learned she would write a sequel to her wildly popular historical, As You Desire (I wasn't alone in my joy). Connie announced she was "going rogue" and self-publishing, but a timely blog caught the eye of the folks at Amazon, and they decided to make Connie's newest book the launch for their new line, Montlake Romance. 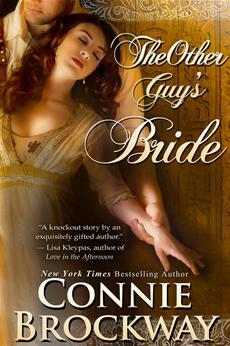 The Other Guy's Bride has been garnering rave reviews, including mine (check it out here). Please give a warm welcome to our friend, Connie. Thanks for dishing with us today, Connie. I've been a big fan of your for years, starting with your historicals and moving to your contemporaries. And now you've made the move to self-publishing. What made you decide to do that? Hey, Gannon! I decided to self-publish after being offered a contract that didn't have anything in it that I wanted: better e-book rates, some pricing control over e-books, and a decent advance. But most important, I wasn't going to be able to write books I'd been promising my readers for years, those being sequels to AS YOU DESIRE and ALL THROUGH THE NIGHT. But while I had decided to self-publish, it didn't turn out that way and I'm not self-publishing now. Instead, I'm the launch author for Amazon's newest publishing venture, Montlake Romances. How'd that happen? After I decided to self-publish I wrote a blog about the decision and my reasons for "going rogue." A few days later Amazon contacted me and asked whether would be interested in being their launch author. They offered me all the things I had wanted in the contact with my traditional publisher plus they were very excited, in fact insistent, that I write the sort of books of my heart --which in this case is THE OTHER GUY'S BRIDE. Additionally, being published by Amazon put to bed all my fears about *my* self-publishing, namely where was I going to find a stellar editor, who was going to do the copy edits (and you know, Gannon, how very,very important it is for me in particular to have someone with a sharp eye for typos looking over my work!) and where would I find a great cover artist. Plus, I would have the backing of the great Amazon team behind me. I said yes. As You Desire, was published in 1997, and now you're finally publishing a sequel, of sorts---much to the delight of your many fans! Did your publisher in the past not support a sequel or did it take you this long to decide that you wanted to write this story? The publisher who owns the rights to AS YOU DESIRE and ALL THROUGH THE NIGHT was not interested in my doing sequels to either--though ALL THROUGH THE NIGHT is more the middle of a trilogy begun in PROMISE ME HEAVEN and concludes with Giles Strand's story. I had asked them several times during those periods when I was free from other contractual obligations if they would care to see a proposal and was always told "no." Of course, and perfectly reasonably, other publishers were not interested in pushing the backlist at another house, so they, too, always declined. It was always my intention to do these books and when I made that initial decision to "go rogue" it was with a the vague notion that regardless of how much or little success I had self-publishing, i would at least do these two books. I'm so pleased I finally am able to do so and I hope everyone who has wanted a follow-up to Harry and Dizzy's story in AS YOU DESIRE thinks the wait was worth it. I can assure you that the follow-up to Harry and Dizzy's story was more than worth the wait. I fell in love with Jim and Ginesse. Their banter reminded me of John Wayne and Maureen O'Hara, Humphrey Bogart and Katharine Hepburn, and Michael Douglas and Kathleen Turner. So much fun! So what's up next for you? I have so many ideas, and so many choices now. As I've done for, oh, say ten years, I'm trying to find the perfect ending to the trilogy started with PROMISE ME HEAVEN and continued in ALL THROUGH THE NIGHT. in other words, Giles, Lord Strand's story. I haven't done something really dark and edgy in a long time. There's a reason for this; it's really hard work for me. Something will have had to twist Giles in the interim period between ATTN and his story, something real and extreme. I've never been interested in heroes who are simply angry. Or indulging in a pity party. I'm interested in the sort darkness that a hero struggles against and not always successfully. And the heroine has to match that paradigm-- no healing angels who by virtue of their, well, virtue just absorb the darkness straight out of the hero--sort of like hair bleach. I'm also playing around with doing a classic western romance, not western Americana. And again, not a gentle tale. Something Clint Eastwood might have starred in. Im thinking it would be a kick to set in 1900, rather than the more expected post civil war era. Or a late Victorian, possibly Edwardian English mystery with gothic overtones and a huge dollop of Oscar Wilde type sophistication… See what I mean? The possibilities suddenly seem endless! I'm always fascinated by the different methods writers use for completing their books. What's a typical writing day like in the life of Connie Brockway? Are you a plotter or a pantser? How long does it typically take you to complete a book? What method? I wish to high heaven I *had* method. Life would be so much easier. I start wherever the initial idea takes hold and then I work chronologically. I have tried writing out of sequence and it only creates an enormous mess for me. Many, many, man times I end up cutting the first 2-3 chapters entirely because I realize I've written backstory.. I suppose it has the benefit of letting me really know the characters before I begin their story. Do I sound convincing? I didn't think so. Every book has it's own path. I love that. It sounds so writerly and it has the added of being true. Both AS YOU DESIRE and THE OTHER GUY'S BRIDE each took under six months to write.ALL THROUGH THE NIGHT took a year and some weeks. Those are both ends of my spectrum. Perhaps one of the reasons I like being under contract is because it *makes* me works. I am a dab hand at not-working. AN even dabber hand at writing down a couple paragraphs or chapters of "Brilliant Possibilities" a whole community of which reside in my bottom desk drawer with another neighborhood on my back-up drive. I love starting a book. I love thinking about a book. Not so much the middle of writing a book and by the time I've finished I have no idea if I've done well or not. There are many of us who still mourn the closing of Squawk Radio, and the community that we all had, like a big, eccentric family. Do you ever miss it? Certain aspects of it, yes. Sharing our friendship online expanded that friendship to include dozens of people. It felt like a big Hen Party ( wha-wha!) and it introduced our individual voices to a huge number of people without *feeling* like promotion. So, sure, I miss sniping at Christina or Terri. But it was a huge, huge time commitment for every single one of us and after two years, ultimately we felt that our time was better spent writing books rather than blogs. I can promise you I don't miss the rest of the Squawkers. We still babble and e-mail merrily away behind the scenes. And I still snipe at Christina and Terri. Connie, it's been so much fun chatting with you. Now it's your turn to ask our "Dishettes" a question or two. 1 - IN writing Giles Strand's story, how dark should I go? 2 - BESIDES the U.K. (and that includes England, Ireland, Scotland) when and where would you like to see me set a book? WAIT!! BONUS POINTS--if the book is NOT set between 1800-1895 you can include a U.K. setting! Thanks so much for having me, you guys! I hope you enjoy reading THE OTHER GUY'S BRIDE as much as I did writing it! Hi Connie and Gannon, great interview! This is the blog that I have been waiting and waiting for and you did not disappoint. I'm going to repost the comments about TOGB that I made last week when it was reviewed here. The African Queen/Bogart Hepburn and the other analogies you make are beyond brilliant and the quote you choose to use in the review left me appropriatly breathless when I first read it in the book. As you know, I had the incredible good fortune of receiving an early copy of TOGB from Connie Brockway. I did a quick reread of AS YOU DESIRE since I had read it 14 long years ago. I honestly have to say that this book, it's sequel, was well worth the wait. When Connie first announced that she was "Going Rogue" I had very mixed feelings because I had never been a fan of eBooks. Since then I have acquired an eReader and the free Kindle Apps for both my PC and iPhone just so I would not miss out on this book and any of her upcoming projects. It took a lot of courage for her to take this pioneering route and I wish her the greatest of success in this undertaking. With this book I'd say she hit the ball out of the park on the first swing of the bat." Gannon, if any of your readers do not want to wait for the print copy to come out next month they can easily download free Kindle apps at Amazon's Kindle store." I think you can tell that I really, really loved it! 1. I think you could go somewhat darker in Giles' story. You used darkness to great effect in ATTN. The themes of darkness at so many levels of this book: Characters, Ambience, Night, Light and Shadow, emotional dispair and distruction, are what give the book the depth to make it an exeptional novel. Giles is part of this world, and I imagine if his story takes place later than ATTN, his book should reflect a darkening trend. On a lighter note, I would love to get a peek at what has become of Anne and Jack. I hope you plan to include them, even just a bit. 2. BONUS POINTS! If you really want dark, take one of Harry and Dizzy's bundle of sons and put him in France during World War I.
Egypt in the time period, World War II. All kinds of excitement was going on then with Hitler looking for artifacts. Hello, Connie!! It's such a treat to have you with us today. Flora said: 2. BONUS POINTS! If you really want dark, take one of Harry and Dizzy's bundle of sons and put him in France during World War I.
Dianna said: Egypt in the time period, World War II. All kinds of excitement was going on then with Hitler looking for artifacts. Love Egypt! And I hear you all regarding "darkness" and Giles. I'm starting work on him, er, it--er his book, tomorrow! Just the thing to write during a cold Minnesota winter! 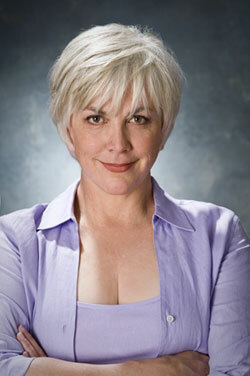 Connie, first of all I wanted to let you know how wonderful it is that you faced what you wanted and followed through. By stepping away from "traditional" publishers you have more control over the process of developing your stories. When you asked about how dark a hero should be written I immedaitely thought of not only my husand, who is a Vietnam War veteran, but the many men and women of today fighting for all of us. Those veterans came to mind when you talked about the hero struffling against darkness and not always successfully. Unfortunately this happens not only to veterans of wars but also to the "average" person today feeling the pain and loss of jobs and their homes. I think it's important to include that darkness and struggle in books that we read to help us realize that no matter the hardships we endure that we can look forward to love, happiness and yes "a happy ending" to the story! Hi, Connie! I'm so excited that you teemed up with Amazon. They're a great company and you certainly cannot go wrong with them. I'm very excited about reading THE OTHER GUY'S BRIDE! Can't wait! As far as Giles goes, perhaps you could surprise us by making it appear that he is "dark" when we find later he isn't or vice versa. I lived in Paris for many years and love the history of the country during World War II. Thus, I would love to see a book based in France during WWII. Best of luck and congratulations on all of your successes. Hi Connie! Great to have you with us today! I have a copy of The Other Guy's Bride and can't wait to lose myself in another of your wonderful stories. From medieval Scotland to modern day Minnesota, I always know when I pick up a book you've written that I'm going to be entertained. I enjoy edgy darkness in my fiction. I find the emotional journey from darkness to light to be highly satisfying. Best of luck with your new venture at Amazon. I hope that you'll be hugely successful! I tend to go for dark reads, therefore I can easily say for Giles's story to go as dark as you need to in order to tell his story in such a way that the readers "gets" him or can emotionally connect. As dark as his story is, it's important that it's not beyond redemption and love. He needs it to heal and to grow. I wouldn't mind seeing more stories set in 1700-800s. I've read some historicals set there and really enjoyed it. The Revolutionary Wars (French and American) makes for an exciting and dangerous time. Congratulations on your latest relase, Connie! I read All Through the Night a long time ago, so I don't have a clear memory of Giles. Have you thought of writing a book set during New York City's Gilded Age? It's an interesting time period with great wealth and poverty. Jeanne M. said: I think it's important to include that darkness and struggle in books that we read to help us realize that no matter the hardships we endure that we can look forward to love, happiness and yes "a happy ending" to the story! Connie said: As far as Giles goes, perhaps you could surprise us by making it appear that he is "dark" when we find later he isn't or vice versa. PJ said: I find the emotional journey from darkness to light to be highly satisfying. Na said: As dark as his story is, it's important that it's not beyond redemption and love. He needs it to heal and to grow. Penfield said: Have you thought of writing a book set during New York City's Gilded Age? It's an interesting time period with great wealth and poverty. Penfield, that's a fascinating time period. I would say Giles Strand's should be dark, but not too dark, we don't want it to get depressing. I think you should set a book in the French or Italian countryside, or perhaps Greece would be fun. Hey Connie! It is such a delight having you with us today. Like other, I have enjoyed several of your novels and am looking forward to reading more. I would love to see more historicals set in Australia and India. I think both locations would offer quite a bit to readers. Hello and welcome, Connie! So glad you're here to dish with us today. I have AS YOU DESIRE in my TBR pile and plan to read it and THE OTHER GUY'S BRIDE soon. Can't wait! I have always enjoyed books set in America during and just after the Civil War. Lots of conflict there. I believe you can go darker with Giles! I would like to see more books set in KY.
1. I don't like things too dark, if I cry, I like to smile thru my tears & I don't want to sob if the characters are in despair for too long. So happy I won an ecopy of Other Guy, hope it's in the inbox tomorrow so I can start reading. I like the idea of a Victorian or Edwardian gothic mystery too. For another setting, have you ever thought of a medevial with druids? Love those, too. Hi, Connie. Enjoyed the post. As to question one, don't go too dark. I think you can reach a point that is really a bit unrealistic to have him come back from the edge. A mix of anger at the murder or death of someone he loves and guilt for feeling or being responsible for the death(s). That could tie into trust issues, retreating from society, and no longer allowing himself to have friends. If not murder or death, then perhaps an extreme betrayal (or both). Question 2 - I love the American West. It offers great possibilities for stories through the 1800s right into the early 1900's. Another area that fascinates me is the age of exploration that blossomed in the Victorian era and continued on. It was a time when a woman could declared her independence to a degree and travel to explore interesting places around the world - Egypt, South America, into Asia. Best of luck with your new publishing and writing adventure. Hopefully, the move to self publishing and the other arrangement coming out in the industry will allow all writers to spread their wings and write those books they have been anxious to share with their readers. I could have sworn I left a comment earlierthis morning. *lifts edge of blog and peeks under* Huh, don't know where it went. Anyway, just popping in to say what a gem this book is! LOVE LOVE LOVE it! Can't wait for more! And you know I'd read your grocery list. After all you harvest chanterelles-anextrodibary fungus among us!